My name is Christian Kahahawai. I am a Kauai born photographer that has a passion for photography as a creative outlet. 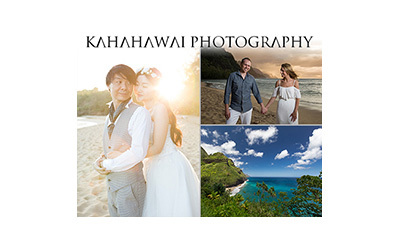 With a wide range of photographic skills and techniques, Kahahawai Photography is a full service photography studio! Whether you’re looking for a Kauai wedding photographer, portrait photographer, fitness, fashion, real estate, landscape stock, or even candid vacation photography both in AND out of the water, I can provide you with the best quality images to fit any event you have planned! Call me today to see how I can capture every special moment in your life! 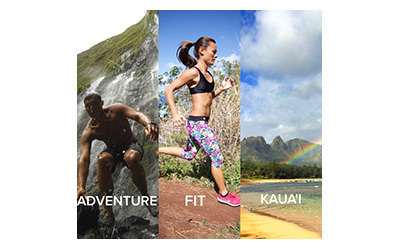 Adventure Fit Kaua’i provides customized small group and individual outdoor fitness training. We respectfully utilize our island’s unique environment as the best state-of-the-art training facility. A boutique fitness studio located on south-end of downtown Kapaa, Kaua’i offering traditional Lotte Berk inspired BARRE classes. Reserve your car through Budget or Avis and receive our preferred rates. You may cancel at any time and pay when returning the car. Click on an company name below and book direct to save on your Kauai car rentals from Avis or Budget Rent A Car. Your rental car will be ready for you upon arrival. Prices are seasonal and subject to change without notice until reservation is confirmed. Kauai has many beautiful spots to see and adventure but you will need a car to see and do everything. There is one main road which runs from Kekaha (west side) to Haena (north shore) and is about 65 miles long. The main towns in between are Waimea, Hanapepe/Eleele, Koloa/Poipu, Lihue, Kapaa, Anahola, Kilauea, Princeville and Hanalei. There is no road that circles the whole island; the pristine Napali coastline starts once you reach Polihale State Park on the west side or Ke’e Beach on the north side. The Napali Coast is only accessible by air, boat or foot/hiking. Each town on Kauai has its own unique characteristics and charm and you will definitely want to peruse them all at your leisure with a rental car. Taxi and shuttle services are also available mostly from the Lihue Airport.